5 Spots in Malaysia for the Adventure Addict! If you think that adventure is dangerous, think twice about routine. It’s lethal! 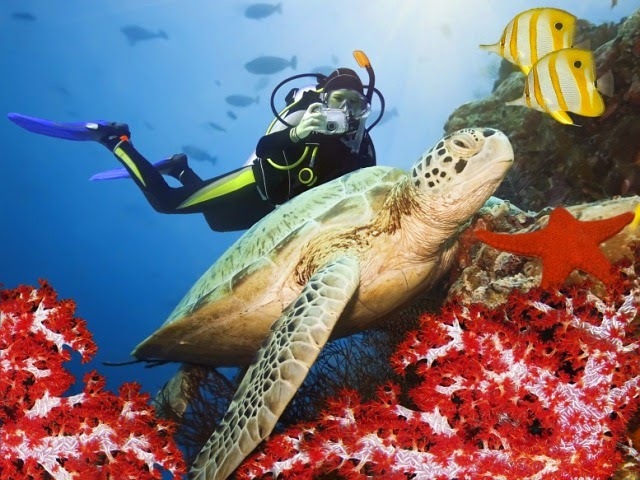 So here are a few “dangerous” activities that you could try in the exotic and gorgeous Malaysia, and save yourself from a deadly routine! 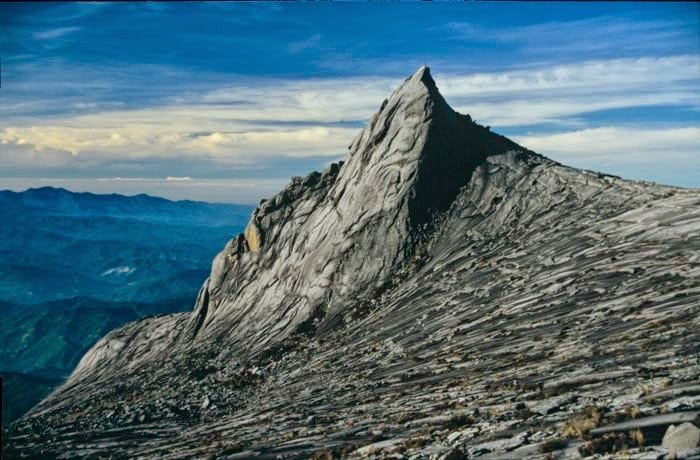 Mount Kinabalu, in Sabah, stands tall at an impressive 4095 meters! If a long hike, through lush green Malay rainforests excites you, this is the perfect adventure for you. What’s best, is that the climb is fairly easy and the view more than makes up for the climb. The best part of this hike? Waking up at 3 am to climb the peak in the chilly morning breeze to view the most spectacular sunrise of your life! 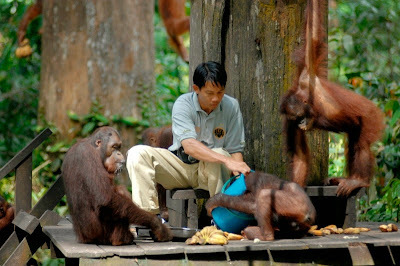 The wild orangutan is a rare species that can only be seen in two places in the world, Borneo being one of them. 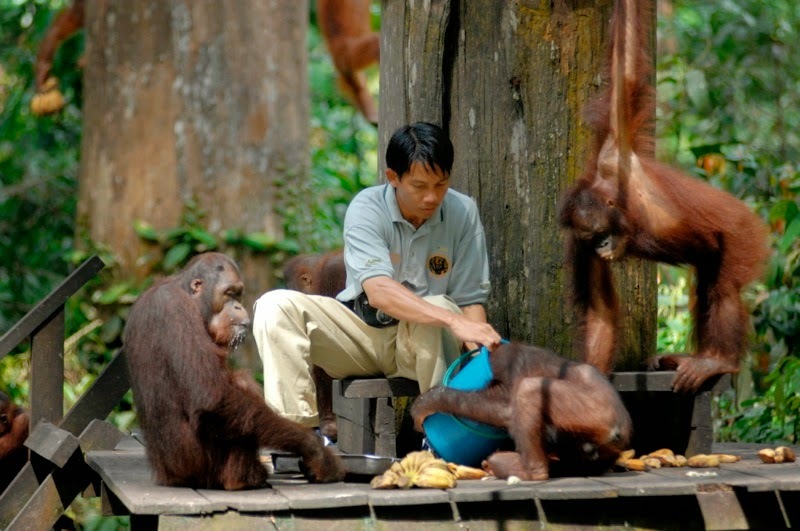 The Sepilok’s Orangutan Rehabilitation Centre is a place where you can see these adorable creatures eat, play and relax in their own natural habitat. What’s great is that the centre also nurses these injured or orphaned animals, and provides a safe haven to them. Are you bored of trailing through a concrete jungle? 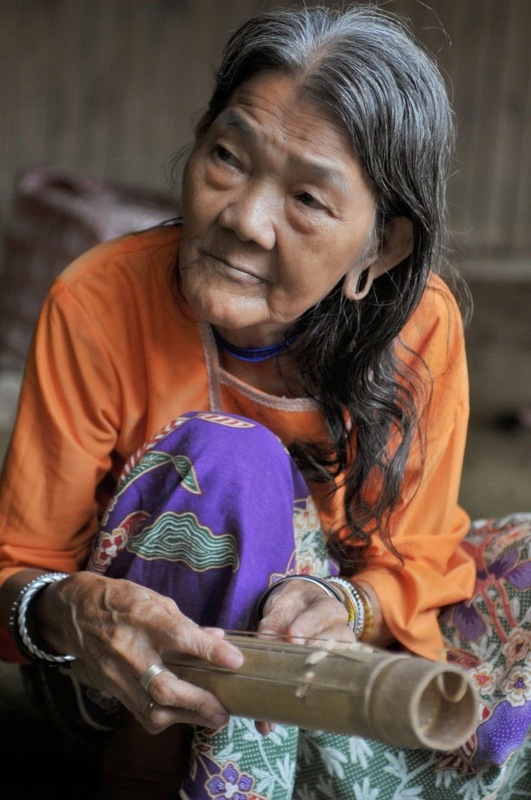 Then spending a day with nomads of the Penan tribe is just what you need. You can literally explore new places in Sarawak that haven’t even been logged yet! You can get up-close and personal with nature, by exploring the various lakes, caves and waterfalls in the region. What’s really interesting about the tribe is that they have 40 words for Sago Palm (a tree species), but not even a single word for “Goodbye”, “Thank You” or “Thief”! Now isn’t that endearing? Amongst one of the best and highly recommended “dive-sites” in the world, Sipadan Island offers you a chance to spot turtles, hammerhead sharks, whale sharks and a lot of other rare aquatic wildlife creatures. And if crowds turn you off, this is great news for you: only 120 passes are issued each day! This means that you can have a nice fun-filled day at the Sipadan Island without having to worry about getting lost in a sea of humans! Experience the thrill of your life by skydiving at the Tekah Airstrip in Taiking, almost 3 hours from Kuala Lumpur. 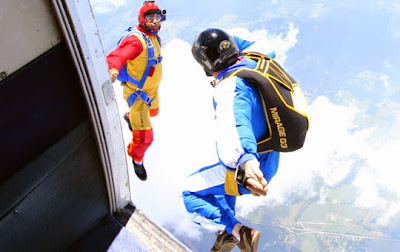 Feel the adrenaline rush through your body as you descend at the speed of 190kph/118 mph, taking in breathtaking views that will be with you for the rest of your life. So pack your backs, and get ready to break away from the routine. Why? Because Malaysia is calling! Forget the bags, it’s time to bring the shopping carts out! Literally everything you can think of filling your bags with is on sale! When just this one word can be music to the ears of shopper’s all over the world, imagine the frenzy when Malaysia announces is largest and longest annual sale. The 1 Malaysia Year End Sale! From the most chic malls to open-air markets, the Malaysia is vibrant with the mood for the best shopping and leisure experiences ever. And the year-end sales here offer just that.The fabulous 1Malaysia Year-End Sale for 2014 is back – bigger and better. There are huge sales, crazy offers and exciting events happening in hundreds of shopping outlets all over the country for nearly two months from 15 November 2014 to 4 January 2015. 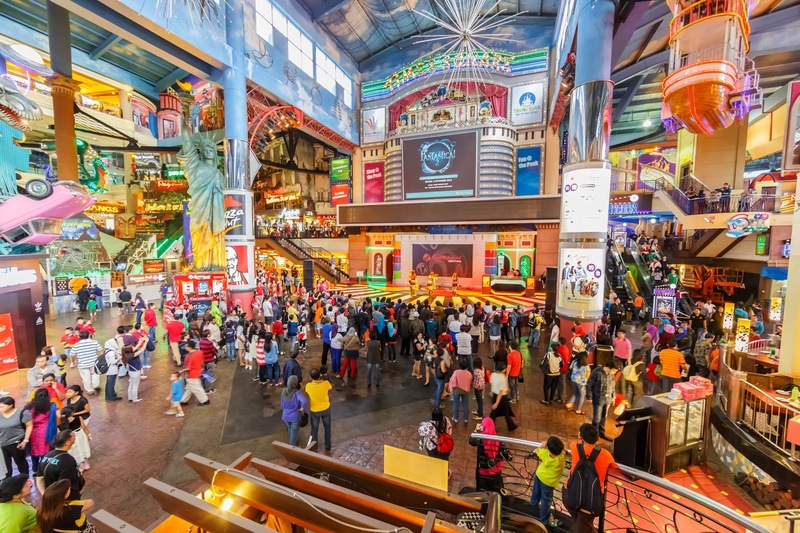 Malls bring you the best from all over the globe with brands that you have always dreamt of and the local markets up their scale to display and offer you the best of Malaysia in a bag! One can’t get over the shopping bug when the 1 Malaysia Year End Sale is here, and why should one? Just come to Malaysia with extra baggage (though, you can buy that is the sale too!). The year is not complete without a grand shopping event like this, which wraps up the year with a bang. Shoppers around the world can expect an interesting line-up of fashion-related events, entertainment and nationwide shopping promotions. So it’s time you put your best foot forward and step into the New Year in style and glamour as we get ready to welcome the arrival of 2015, festively! Many regard it as the king of fruits and where there’s a king, there ought to be some festivity about his presence! 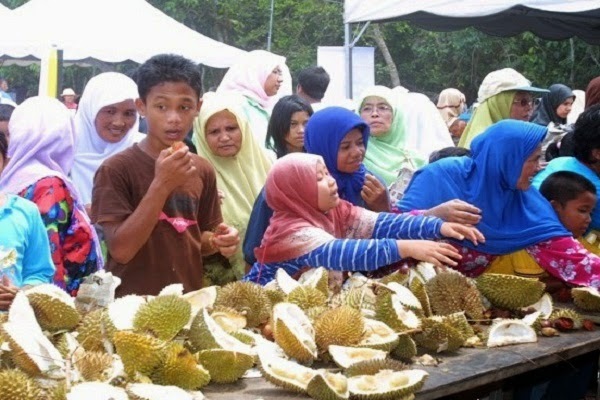 It’s June and Malaysia sees its markets flooded with Durian. A fruit, known for its peculiar appearance, odour and a highly acquired taste! Where some are passionate about durians, others express obvious repulse. But yet, it is very much a part of tradition in Malaysia. In fact, it is native. The durian has been consumed in southeastern Asia since prehistoric times, so one can imagine how truly Asian it is! June- August is when it’s most harvested and available hence it’s this time that Malaysia celebrates this fruit enthusiastically. There are durian estates in Malaysia and equally passionate durian lovers who head out during this festival time to devour their favourite fruit. Durians almost compete with the passion mangoes find in Indian summers! So if you are anywhere in Malaysia, make your way to the state of Penang. It’s a mosaic of culture and Penang is known for its variety of food! Going on all through the month of June till the end of July, Penang celebrates the arrival of the durian fruit with fair and festivals. You’ll find various varieties of the durian, tons of different ways the fruit is used and consumed and you’ll get to see people sincerely enjoy this Asian fruit! We say you take yourself to Penang for a tropical summer. If not for the love of durians then for the truly Asian experience you’ll get. And who knows, you might even acquire the taste that needs some initiation! The use of bamboo as a resource in Peninsular Malaysia has only recently begun to gain favor. This is mainly due to the fact that materials like wood and rattan have been readily available in Malaysia and even though as many as fifty species of bamboo are known to grow in the country; the use of bamboo in the construction and furniture-making industry has been hitherto limited. This is now slowly changing as innovative entrepreneurs and organizations in Malaysia, have now woken up to the many attractive properties of this easily renewable resource, so much so that this world’s tallest grass is now being used to fashion products like clothing, life-style products, utensils, furniture frames and much more. However, in the small town of Tamparuli in the Tuaran district of Sabah, this favorite food of the panda bears has for generations been venerated,for it is primarily used to craft melodic wind and percussion instruments like the sompoton (the bamboo aerophone), the bungkau (the jaw harp) and the seruling (a type of flute). In fact, Tamparuli has for years celebrated the usefulness of this tall grass, by way of an annual festival known as the Bamboo Music Festival. The Tamapruli Bamboo Music festival is held towards the end of November every year at the town’s main hall, the Dewan Tun Hamdan housed within its main basketball stadium. 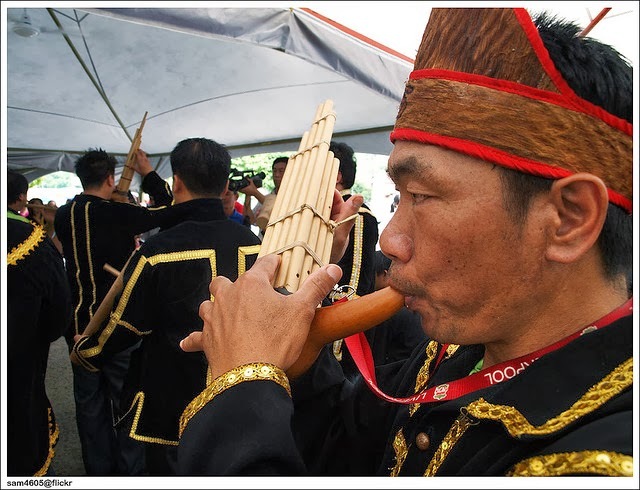 This daylong festival usually features special musical performances by local and international groups like the Kinabalu Bamboo Orchestra and the Taiwanese Bamboo Orchestra (the group performed in this year’s edition of the fest). 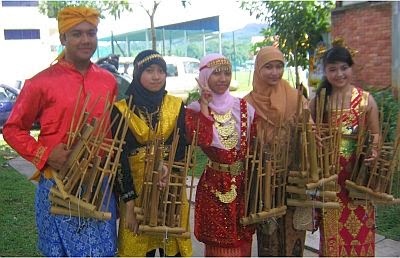 Also, included in the festival program is a bamboo music competition, featuring the participation of local and overseas groups from neighboring countries like the Philippines and Indonesia and a display of traditional sports events involving the use of bamboo, like rampanau or bamboo stilt-walking races. 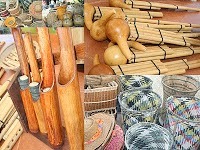 Displays of products made with bamboo like bamboo raft houses, baskets, trays, decorative items, bamboo batik and apparel are also conspicuous throughout the festival site. Malaysia’s Sepang International Circuit is famously associated with the Formula 1 Malaysian Grand Prix. Situated within close proximity to Kuala Lumpur International airport in Sepang, the 5.543-kilometer long Sepang international circuit was designed by German track designer, Hermann Tilke. The former Malaysian Prime Minister Mahathir bin Mohammad officially inaugurated this state of the art racing track on 7th March 1999. Today, aside from the Formula 1 Malaysian Grand Prix, the Sepang track hosts various international motorsports events like the MotoGP, the Merdeka Millennium Endurance race, (now known the Malaysia Merdeka Endurance Race or MMER), the Sepang Drag Battle and even Go Kart races. One of the concluding events of Sepang’s yearlong exciting event calendar is a grueling long-distance race called the Sepang 1000 km Endurance Race, which extends over 1000 kilometers (620-miles) and features the participation of cars under 1800cc. The concept of this challenging endurance event,which tests the mettle of man and machine, was inspired by the hugely successful MMER, also held at the circuit in August, every year. The Sepang 1000 km Endurance Race is popularly known as S1K and attracts much domestic and international participation from lands as far away as Japan and Australia. 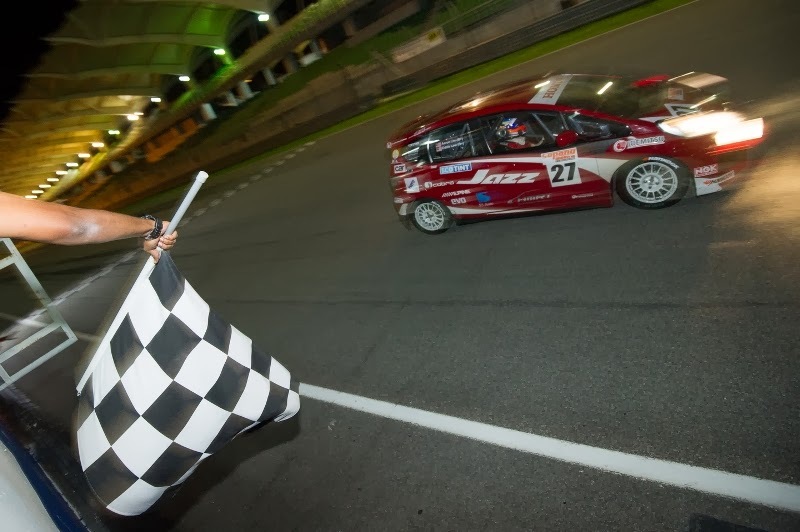 This year’s thrill a minute event is scheduled to be held from Thursday 5th to Saturday 7th December at the Sepang International Circuit. Aside from the exciting races, fans can look forward to various entertaining off track activities as well along with free entrance to the Main Grandstand. So if you have a yen for speed and enjoy motorsports, do pencil in a visit to the Sepang International Circuit, if you happen to be in Kuala Lumpur over the first week in December. Alternatively, if you think you have it in you to participate in this truly challenging event do check out the official website of the event for rules and regulations and start planning for your entry in the Sepang 1000km Endurance Race in 2014.